Log in to your Flickr account. 2. Click on a photo. 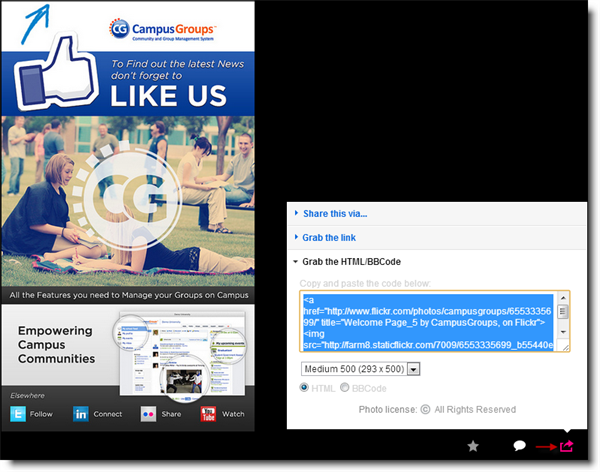 Then, click on the "Share" icon. Copy the HTML/BBCode. 3. 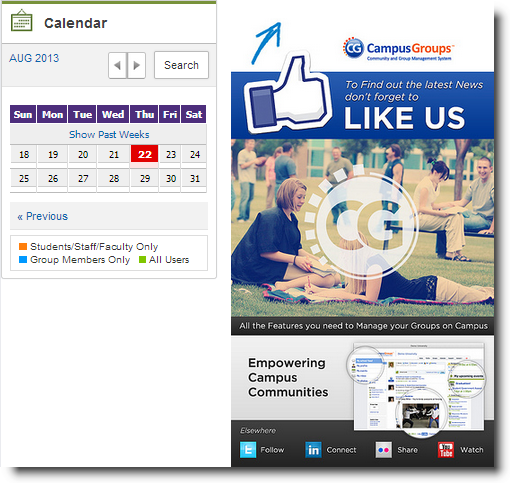 Log in to CampusGroups. 5. 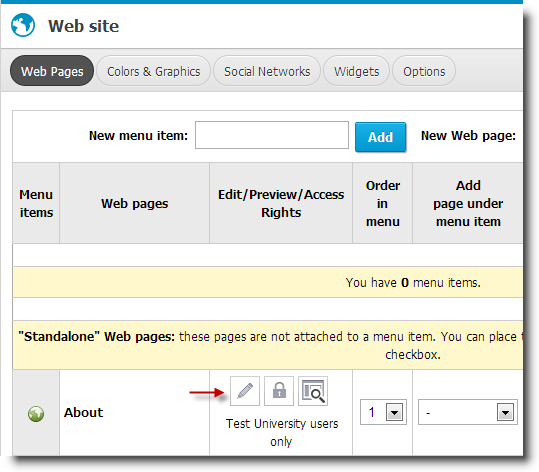 Click on the "Website" tab (in the manage toolbar). 6. Click on the "Edit" icon next to the page that you want to include the album. 7. Once the Editor is open, click on the "Source" icon and paste the code you copied from Flickr. 8. Click on 'Save & Preview' button to finish.